EAST MARLBOROUGH — The Unionville Rugby Annual Meeting will be held on Friday, Jan. 7 AT 7 PM AT Unionville Elementary School. All middle school and highschool players (boys and girls), potential players, and parents should be in attendance that evening. Since we will take a boys team photo that night for inclusion in the Charlotte tournament brochure, all boys should wear khaki pants, a collared shirt, and a tie. You don’t need to wait for the meeting to sign up. 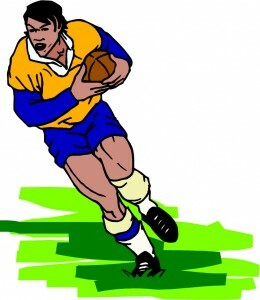 All forms are posted on the Unionville Rugby website: (www.unionvillerugby.com). To get to the forms, click on HANDOUTS on the left side menu, then click on “2011 SIGN UP MATERIALS.” You should then download, print, and complete the forms. The Unionville HS Girls Rugby and Boys Rugby teams are among the best in Pennsylvania. The girls team went undefeated last year. And both teams are always looking for new players. If you’ve never played (or even seen a rugby game), you’re welcome to join. We’ll teach you how to play one of the most exciting games in the world.